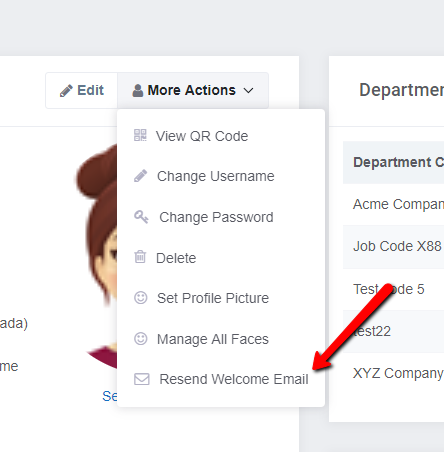 How do I resend the initial email or welcome email to the employee? You can resend the welcome email right from the app. If your employee didn't get the welcome email you can resend it to them directly from the app. Visit the Employee's profile and you''ll see a "More Actions" button. Click on the button to resend the email.